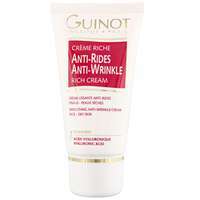 Home Brands Guinot Youth Crème Vital Antirides Anti-Wrinkle Cream 50ml / 1.7 fl.oz. 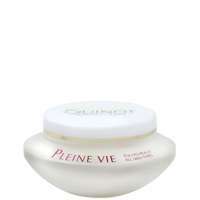 Guinot Crème Vital Antirides combats the signs of ageing by smoothing wrinkles and lines, it visibly revives and restore radiance to the skin while leaving it moisturised and nourished. - Epidermal hyaluronic (high molecular weight): smooths the skin’s surface and reinforce cell cohesion to limit water loss. - Dermal hyaluronic acid (low molecular weight): activates natural hyaluronic acid synthesis to restore density and tone to the skin. To use: Apply to the face and neck once or twice a day after cleansing. 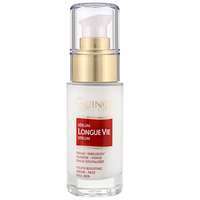 Sérum Longue Vie Serum 30ml / 0.88 oz. 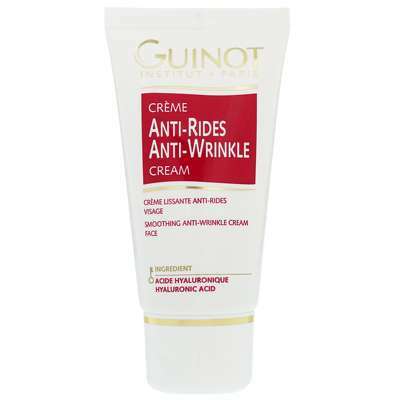 Guinot Youth Crème Vital Antirides Anti-Wrinkle Cream 50ml / 1.7 fl.oz.